A tweet was released by the CS:GO dev team via twitter yesterday where they teased the users with an update being released today. Since then there have been speculations being thrown all over the internet suggesting an upcoming ‘Survival Mode’ or ‘Batlle Royale Mode’. Users have been pointing out to elements of the two modes being added since back in 2014 and 2015 with improvements being made on it over the years along with random additional files being added as well. All these files were not displayed as a part of the patch notes but were very well identified by multiple users while going through the additional game files. Following is the timeline of some components that have been found in the game files over the years which has led to the rise of all the speculations. Compound Bow – A new weapon was found through which players could launch an arrow or a grenade in a projectile motion. Exo Suit – This particular component was added back in 2014 but was modified in the following patch by giving it forward & upward direction bonus jump along with stamina penalty when jumping or landing with it. Breach Charge – A component which was added in the past (2015) but was changed in the following patch by defining the number of charges that a user could carry at once, clearly classifying it under the category of grenades. Adrenaline Shots – Another component that was added in the year 2015, witnessed a few changes being introduced to it. The changes made to it defined how long the effects would last after consumption, what would be the bonus health increment and the number of shots that a user could carry at once. Fists – A new way of engaging with the opponents at the very start of the game following one to believe that a user starts with no inventory at all including a knife. Crate Beacon – It is something similar to what an ‘Air-Drop’ is. Money Bag, MK2 Grenades, Taunts and Wearables were some other components that were also detected in the following patch. The patch released on 10/10/2016 had a map called Island (survival_island) hidden within the game files. This was the first time that the existence of such a map came into notice leading many to believe that the map was specifically made for the purpose of a ‘Survival Mode’. Another set of components were noticed in the patch that came out on 12/1/2017. Some appearance changes were added related to the adrenaline shot. These changes could be noticed when adrenaline was consumed by a user and also when its effect expired. An icon was added for Breach Charge. Reference was made towards two new maps named Baloney (de_baloney) and Glass (de_glass). No concrete information is available about the two maps. The next patch that observed inclusion of such components was released on 20/6/2017. References were made in this patch regarding Armour, Beacon, Drone, Sonar and Supply Crate. It was the first time ever that the (_br) prefix was being used, most likely relating it to a Battle Royale. The keychains models of AK-47, Banana, Bloodhound, Grenade, PlasmaBall and Sugarskull were also spotted. A reference was spotted for a Medkit Model. This patch was the last time that a reference towards a survival game mode was made along with the revelation of a map by the name Enclave (mg_xl_enclave). The icons for Spatula, Hammer, Spanner, Axe, Bear Trap & Smoke Beacon were added. To further bolster the accusations, a ‘Survival Mode’ might already be existing in its beta version. 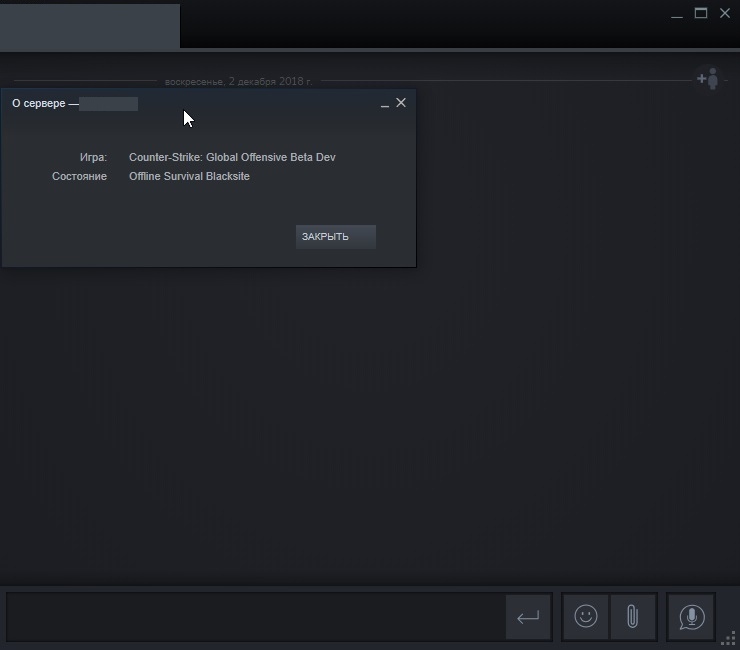 In the following photograph that has been revealed recently, it can be seen that a CS:GO developer is testing a Survival Mode called ‘Blacksite’. This is all that the players have been talking about related to the update that is supposed to come out today. CS:GO does have the potential to draft out a Battle Royale mode considering that so many components have already been found within the game files along with already possessing concepts of cars and vehicles that they have from Half-Life 2. Let’s wait and see what surprise the CS:GO dev team have in store for us.